The Center always accepts cash payments which are the easiest and least expensive way to pay for your surgery procedure. The Center accepts both cashier checks and money orders for all cosmetic surgery procedures. The Center accepts most major credit cards including Master Card, Visa, American Express and Discover Card. 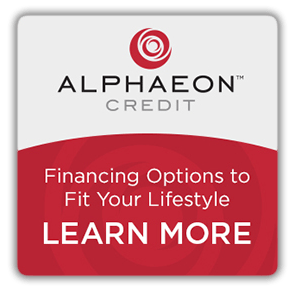 With the Alphaeon Credit card, you can receive the care your physician recommends, with flexible payment options that fit your lifestyle. United Medical Credit is here to assist patients by helping them finance their medical procedure or medical device hassle-free. Through our network of experienced physicians and vendors, and our agreements with competitive lenders, our associates are able to get you the right medical financing options, at the best rates, on time. ProtaPay offers No Credit financing for patients to help move more procedures forward, looking more beautiful than ever. There is no down payment and no prepayment penalty for ProtaPay financing. Average APR is calculated based on simple interest rates offered at the time of financing. Your APR will be determined based on your income and financial information provided in your loan application. Not all applicants will be approved. The Center currently works with five third party financing companies. Each of these companies provides instant approval for cosmetic surgery financing based upon your credit score. Bring in your College student ID and receive $100 off our lowest price. Financing requires an approved credit score or an authorized co-signer. All special promotional prices must be secured with a deposit.